Blast music through the elements, from waterproof Bluetooth speakers to premium noise cancelling headphones. Bluetooth speaker? Check. Power bank? Check. Bottle opener? Wait, what! Imagine you are planning to go for a hike on a weekend and you need all the things mentioned above. Why carry multiple items when you can just carry one? Enter the Braven Blade. 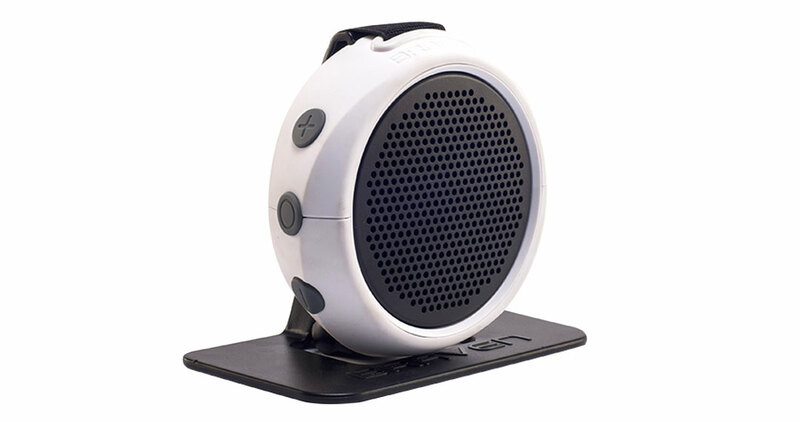 This is a bluetooth speaker that feels most comfortable when it is outside the shelter of your home. It features a water resistant case certified to IPX7 that is made of metal and rubber. You may be wondering if this is as heavy as a brick but it is deceptively thin and portable. It tips the scale at 1.2 lbs and can be slipped into a backpack without much fuss. The battery life on the Braven Blade is quite astounding too, with up to twenty-two hours of constant use. You will probably have to take a break long before the bluetooth speaker runs out of power. Speaking of power, you will most likely find your smartphone running out of juice a few hours into the hike with the constant selfies, GPS navigation and listening to music on your Braven Blade. Fret not, you can charge your smartphone via the charging outlet on the Braven Blade itself, which has a 4000mAh battery that can double up as a power bank. Keep hiking while your phone is charging. Once you’ve reached the resting point, it’s time to crack open a couple of beers and relax but wait, there’s no bottle opener. Once again, the Braven Blade comes to the rescue, with a bottle opener that is included in the box. Congratulations, you have successfully accessed beer and to add to the atmosphere, you start playing music using your fully charged smartphone connected to the Braven Blade via bluetooth. It was a good hike after all. Special Feature - Water resistant case certified to IPX7 that is made of metal and rubber. Do you want a bluetooth speaker that is truly portable and will fit in literally anywhere? Get the telephone off the hook and look no further! You have just discovered the Braven 105, a circular bluetooth speaker that fits in the palm of your hand. The Braven 105 is a waterproof bluetooth speaker that is constructed with shockproof materials and can easily handle wet situations with its IPX7 rating, which means it is usable in rain, snow and can even survive a dunk underwater. That’s where the second attachment comes in. Remove the desktop stand and you will find a mount that is attached via an elastic band. You can use this elastic band to attach the Braven 105 to your backpack, belt or even your hands. To unearth the third and final attachment, you can detach the elastic band to reveal a tripod thread and a rubber flap that hides the micro-USB power port and an Aux-In port. The tripod thread allows you to use the Braven 105 with GoPro mounts, which increases the portability of this tough little cookie even further. 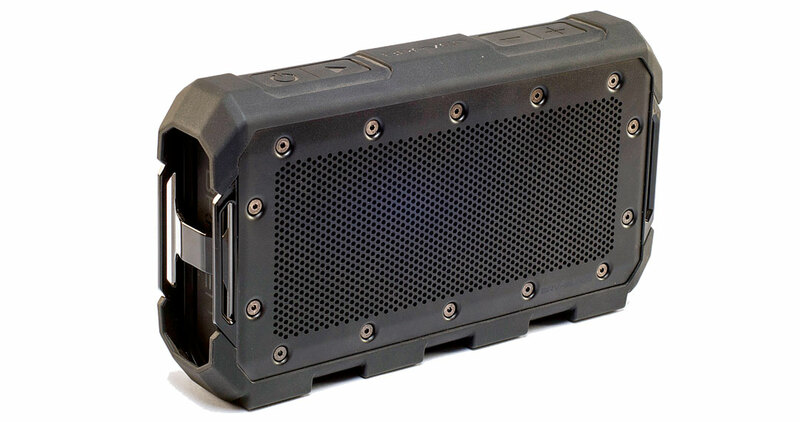 Special Feature - The Braven 105 is a waterproof which is constructed with shockproof materials and can easily handle wet situations with its IPX7 rating, which means it is usable in rain, snow and can even survive a dunk underwater. Have you faced situations where you wished you could block off all external sounds? The KEF and Porsche Design SPACE ONE will do that in style. 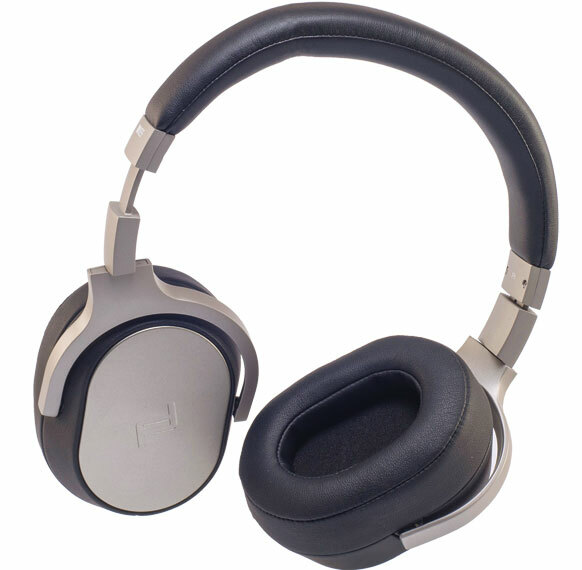 It is in a nutshell, a wired pair of headphones that allows you to enjoy your music with active noise cancellation. To get started with the active noise cancellation, you will first have to play a game of “Where’s Waldo?” to find the button located somewhere inside the right ear pad. You know it’s there but it remains elusive. After finding the button, a hatch will open allowing you to put an AAA battery in. With the battery in place, you can now switch on the active noise cancellation that will magically get rid of unwanted sound from external sources and allows you to fully immerse in your music. You will notice the difference right away as sounds from the outside world melt away. The active noise cancellation combined with the pair of 40mm drivers and large 20mm neodymium magnets ensures that the KEF and Porsche Design SPACE ONE will deliver crisp high-tones, rich midrange and tight bass. No surprises there. When you are on your next flight out of Kathmandu, put these headphones on and be assured of a comfortable fit as the ear pads are molded out of soft, sweat resistant leatherette. A minor point to note if you are wearing glasses; it’s not as comfortable. The noise cancellation will last up to fifty hours on a single AAA battery and that should hold you till the next flight back to Kathmandu. The KEF Muo is a work of art that has been lovingly designed by acclaimed design guru Ross Lovegrove accompanied by KEF quality sound. It won’t look out of place on display at an art gallery somewhere in Patan. Premium is the name of the game and this bluetooth speaker is clearly winning. The KEF Muo is sculpted out of a single piece of metal to form a compact package. The wedge shape and an hourglass grill in the front makes for an attractive picture. The device feels solid in the hand, giving an air of luxury. There are multiple color options such as Horizon Gold, Storm Grey, Neptune Blue and more. Not to say that the KEF Muo is a case of “Form over function”. The drivers used in this bluetooth speaker is similar to the one used in the larger KEF bookshelf speakers. Combined with the patented KEF Uni-Q driver array and a powerful bass radiator, this svelte package delivers room filling sound that is surprisingly loud and clear. You might be thinking, “That’s pretty good”, but that’s just the tip of the iceberg when it comes to the list of tricks that the KEF Muo can do. You can pick up a pair of KEF Muobluetooth speakers to unlock a special feature: stereo mode. This mode allows you to stream audio with CD-like quality via Bluetooth aptX. Connecting to the KEF Muo is a breeze using either NFC “tap-to-pair” function, bluetooth or even the 3.5mm Aux input. The KEF Muo is able to play music for up to 12 hours and saves battery by switching off automatically when not in use. This pair of bluetooth earphones is unlike most conventional ones available. It is a child born out of the coming together of two powerhouses in their respective fields, KEF for their immaculate sound engineering and Porsche Design for their iconic design. The KEF and Porsche Design MOTION ONE drives the aural experience via a pair of 8.6mm neodymium drivers encased in an aluminum housing. The in-ear earphones provide a comfortable fit for all ear shapes and size due to the ability to pivot the earpiece itself. This small yet subtle feature allows you to achieve maximum comfort as the earpiece is angled to fit your particular ear canal. You can connect your smart devices via Bluetooth and this pair of earphones comes with Qualcomm’s aptX technology that delivers CD-like quality sound without wires. 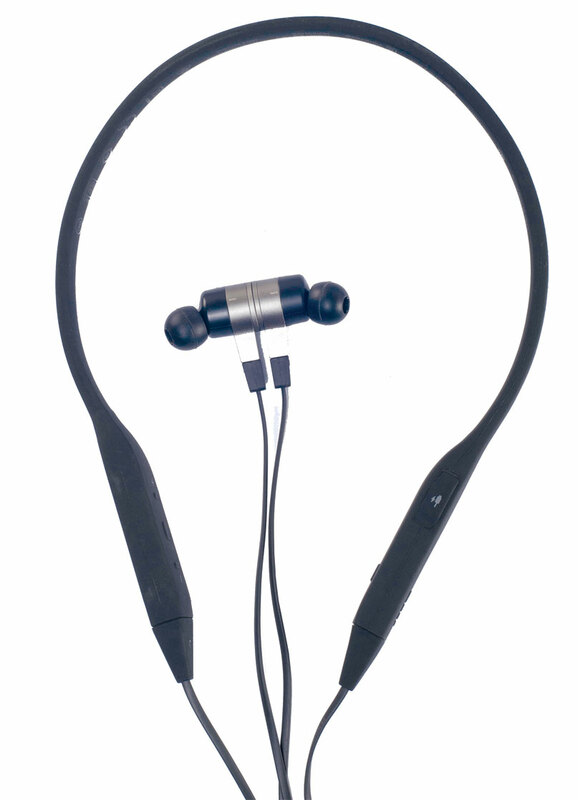 Take it out for a run or a rigorous session at the gym without worrying about the earphones getting soaked. The KEF and Porsche Design MOTION ONE are IPX5 water resistance certified and can comfortably handle rain, sweat and water sprays. You can easily navigate your music, answer calls with dedicated music and calls controls right on the headset itself. It also has a nifty feature where you can voice dial a particular number without even touching your phone. Simply hold the play button for two seconds and say the name of the person you want to call. After 10 hours’ worth of workouts, you’ll be feeling a bit fitter with no charge remaining on your earphones. But no worries, you can plug in directly to your music source by swapping out the bluetooth unit with a conventional wired connection while your headset is being charged. This means your earphones can actually shape shift depending on the circumstance.